The International Research Center on Mathematics and Mechanics of Complex Systems (M&MoCS) of the University of L’Aquila in collaboration with the Laboratoire International Associé Coss&Vita, the McGill University, Department of Mechanical Engineering, Montreal, Canada and the Department of Architecture of the University ROMA TRE are pleased to announce the ICoNSOM 2019, International Conference on Nonlinear Solid Mechanics will take place at Palazzo Argiletum, Rome, Italy, from June 16 to June 19, 2019 and to follow the Joint MEMOCS Workshop on Models of Complex Materials and Systems will take place in Arpino, Italy, from 20 to 23 June 2019. On behalf of the organizing committee, it is our great pleasure to invite you to the ICoNSoM 2019 Conference in Rome, the capital of Italy. ICoNSoM 2019 Conference is intended to provide an international opportunity for communicating recent developments in various areas of nonlinear solid mechanics. The International Conference of Nonlinear solid Mechanics will be held in June 16-19, 2019 at the Argiletum building of the University of Roma Tre. This is a prestigious historical building in the heart of Rome at walking distance from the iconic Colosseum, one of the most known monument of the World. 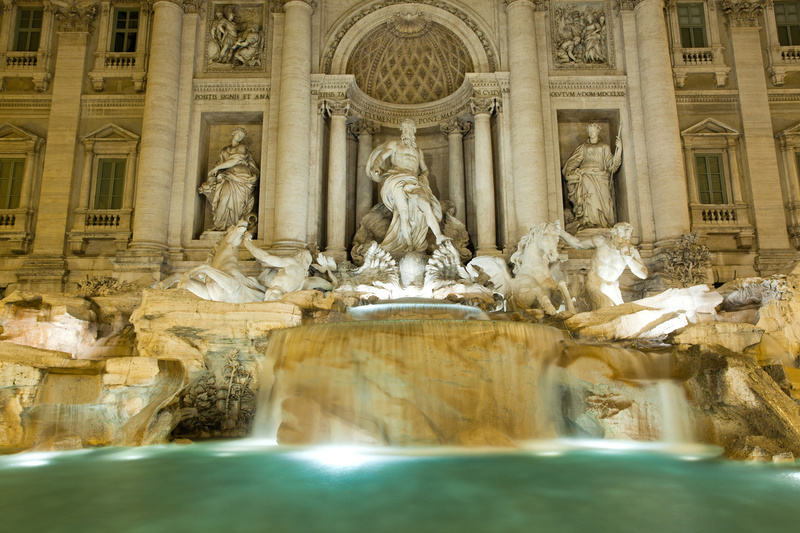 There is no place like Rome and June is the perfect month to visit it. The iconic monuments, attractions and the superb cuisine have made the city a favourite travel destination. The organizers will take great care in organizing great social events, including a welcome party, a dinner gala and a special dinner for the mini-symposium organizers and plenary speakers. A three-day workshop on Models of Complex Materials and Systems will follow the conference for those interested. It will be organized outside Rome to see a beautiful area and will have full transportation and social activities. We look forward to welcoming you to Rome at ICoNSoM 2019. ICoNSoM Conferences are intended to provide an international opportunity for communicating recent developments in various areas of nonlinear solid mechanics and materials. After the very successful 4th Canadian Conference on Nonlinear Solid Mechanics, held in July 23-26, 2013 at McGill University, Montreal, Canada, which was a truly international event and has seen the co-sponsoring participation of McGill University and M&MoCS, we decided to create a new series of fully international conferences on the same subject. The framework of ICoNSoM 2019 is truly multidisciplinary and scientists from all over the world are encouraged to contribute in the conference. The Lia Coss&Vita, joint research unit between the CNRS Federation of Paris Mechanics Labs and the M&MoCS Center, organizes a Conference on “Models of Complex Materials and Systems”, immediately after ICoNSoM 2019, in Arpino from 20 to 23 June 2019. This Workshop will leave wide room for scientific discussion by a group of invited specialists. The program will be deliberately free enough to allow detailed technical presentations and exchanges associated with possibility impromptu interventions. Emphasis will be placed on the formulation of continuum and discrete models for complex materials and systems. Special attention will be addressed to the design of metamaterials, but wider subjects discussion will be welcome. Those interested to participate are welcome to communicate their intention as soon as possible.